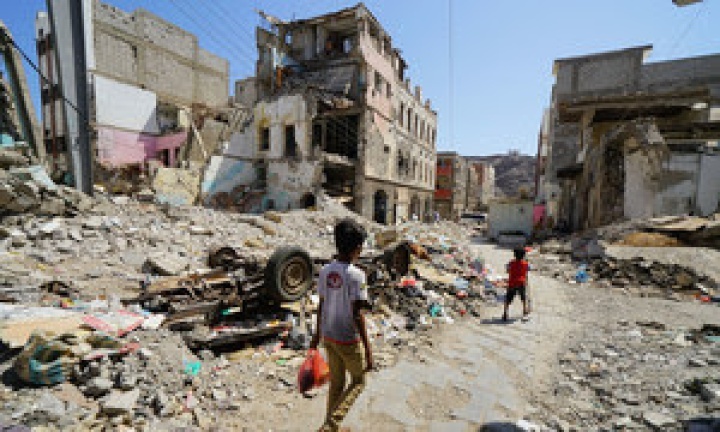 Children walk through a damaged part of downtown Craiter in Aden, Yemen. The area was badly damaged by airstrikes in 2015 as the Houthi’s were driven out of the city by coalition forces. Martin Griffiths said that after a “long and difficult process” agreeing the details of a UN-backed plan, which the warring parties signed up to in Sweden last December to de-escalate fighting around Hudaydah, as the start of a process to hopefully end the fighting nationwide, “both parties have now accepted the detailed redeployment plan for phase one”, and the UN was now “moving with all speed towards resolving the final outstanding issues”. Mr. Griffiths told Council members he was committed to helping facilitate a political solution to end the war: “My primary responsibility in the next few weeks will be to winnow down differences between the parties so that when they meet they can, in all efficiency, be asked to answer precise questions about the nature of the arrangements to end the war”, he said.